High speed 3D scanner for the detailed measurement and documentation of large objects, spaces and buildings. 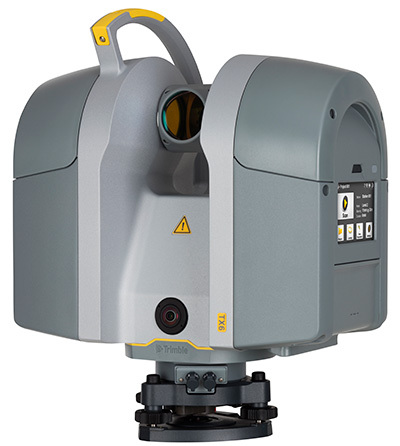 The Trimble TX6 is a highly versatile 3D scanning solution for the detailed measurement and documentation of large objects, spaces and buildings. The TX6 delivers the power, flexibility and accuracy to tackle even your most demanding projects. Designed for performance on the construction site, the TX6 enables you to complete 3D laser scanning projects faster than ever. Data from the TX6 loads directly into Trimble RealWorks, our point cloud modeling software. When paired with Trimble RealWorks and Trimble EdgeWise the TX6 provides efficient data flow into popular CAD programs. With the Trimble TX6 you can capture more detailed datasets at high speed while maintaining high accuracy over the entire scan range. Within this guide 3D scanning at a glance, you'll get an insight into how scanning can benefit your business. As requests for as-built information become more prevalent having a 3D laser scanner that can provide quick and consistently accurate point clouds of mechanical, electrical, plumbing, HVAC or other project conditions can be an important element to collecting your MEP as-built information. For more information about Trimble TX6 3D Laser Scanner, you can request a demo or view features.